This is for all those who are unfamiliar with the term and find themselves quite taken aback when they see a group of artists, props and instruments in hand, happily performing at street corners or railway stations. It can be quite bewildering, especially if it’s early in the morning, and you’re in a hurry to get to work. You see them there, singing and juggling away to glory and you wonder, “Who are these people and don’t they have jobs to go to?” More importantly, you’re unsure about what you’re supposed to do. Should you stop by, or will that look very uncool to sophisticated eyes in the vicinity? Also, will they badger you for money if you do stop by? Here are the answers. 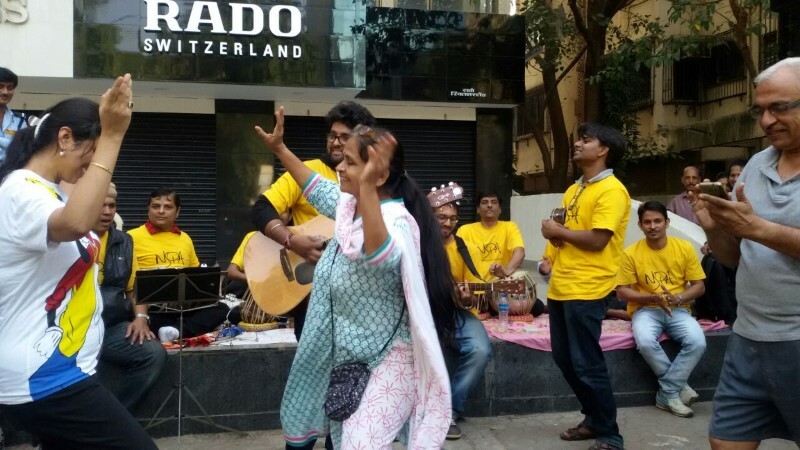 First of all, the practice is called busking, where a group of artists voluntarily decide to perform on the streets. Some do it for money, but many do it simply because they’re proud of their talent and wish to share it with people. And no, not all artists who perform on the streets are jobless or homeless. Also, if you love music, you should stop by, because these artists are great performers are will surely wow you with their talent. It might be a public place, but there’s no rule against enjoying a wonderful live performance. So, sing along, clap, snap, tap and just have a good time! 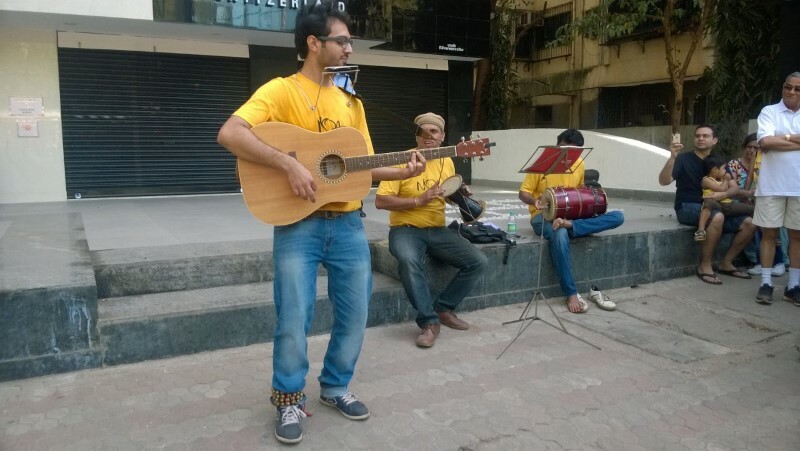 Ask this merry bunch of artists to play your favourite song or recite a poem you love. Most buskers will happily oblige. In fact, they find it quite flattering. You don’t have to have Michael Jackson’s moves, or be able to pull off a perfect handstand, but you can still shake a leg! Don’t worry about what people will think, if you’re having a good time, just go with the flow. Not only will it serve as a happy memory, but by sharing these photographs or videos, you also help popularize an aspiring artist. Give their talent a boost by talking about your experience on social media platforms. Buskers don’t ask much of you, especially since you don’t have to pay a high price to watch them perform. But, if they make a humble request, like asking you to like their page or subscribe to their YouTube channel, please do. Trust me, it’ll be much appreciated. Alright, now that you know what to do when you see these artistic beings in their element, go ahead and enjoy their performances!